Ghillean Tolmie Prance was employed by The New York Botanical Garden from 1963 as a research assistant until his departure in 1988 as Director of the Institute of Economic Botany and Senior Vice-President for Science. A systematic botanist who has made an enormous contribution to the inventory of the Amazon flora and the ethnobotany of the Amazon region, much of his 25-year career at the Garden was spent conducting extensive fieldwork in the Brazilian Amazonia. Dr. Prance has participated in expeditions to Turkey, Surinam, Colombia, Venezuela, French Guiana, and Brazil. Ghillean Tolmie Prance was born July 13, 1937, in Brandeston in Suffolk, England. He credits his two aunts, both amateur botanists, with instilling a love of botanical exploration in him at an early age. He attended Oxford University from 1952 to 1963, when he received his D. Phil. in Forest Botany from the Commonwealth Forestry Institute. His dissertation is entitled "A Taxonomic Study of Chrysobalanaceae." In the preparation of this work, he came to the New York Botanical Garden Herbarium to study, and was offered a position as research assistant to help identify the backlog in this family of specimens. Dr. Prance worked from 1963 to 1966 as a research assistant and was promoted to Associate Curator in 1966. In 1968 he was appointed the B. A. Krukoff Curator of Amazonian Botany. In 1975 he became the Director of Botanical Research and served as Vice-President of The New York Botanical Garden from 1977 to 1981. In 1981 he became Senior Vice-President for Science and was appointed the first director of the Institute of Economic Botany. He would hold both of these positions until his departure from the garden in 1988 to return to his native England and assume directorship of the Royal Botanic Gardens at Kew. He was offered the position of Director of The New York Botanical Garden at this time but turned it down in favor of Kew. His tenure at Kew has been marked by the development of Kew's infrastructure for fund-raising and the enhancement of its educational and tourist facilities. During his tenure at the Garden, Dr. Prance maintained visiting and adjunct professorships at two local institutions, Lehman College CUNY (1968-1988) and the Yale University School of Forestry (1983-1988). He also taught in 1978 at Aarhus University in Denmark; in 1982 at the Universidad Nacional in Bogota, Colombia; in November 1986 at the Nanjing Institute for the Comprehensive Utilization of Wild Plants in China; and in March 1987 at the University of Texas in Austin. From 1974 to 1988, he was Professor of Botany at the Instituto Nacional de Pesquisas da Amazonia in Manaus, Brazil, and from 1973 to 1975 he served as the first director of the Instituto's graduate training program in tropical botany, the first of its kind in the region. Dr. Prance has served as graduate advisor for twenty students during his tenure at The New York Botanical Garden and two of them, Douglas Daly and Andrew Henderson, went on to become members of the Garden's scientific staff themselves. In addition to his other duties, Dr. Prance was an active and valued member of many organizations. He served as Deputy Director from 1972 to 1975 and then as Executive Director from 1975 of the United Nations progran entitled Organization for Flora Neotropica. He served as Chairman of the Tropical Rainforest Task Force Species Survival Commission (IUCN) from 1982 to 1988. He has been a fellow of the Linnean Society since 1961 and of the Explorers Club since 1978. He was elected a Corresponding Member of the Brazilian Academy of Sciences in 1976 and in 1988 he was elected a Foreign Member of the Royal Danish Academy of Sciences and Letters. He was President of the Association for Tropical Botany from 1979 to 1980 and President of the American Society of Plant Taxonomists from 1984 to 1985. In 1981 he received an honorary degree from the Instituto Nacional de Pesquisas da Amazonia, Manaus, and in 1983 he received an honorary degree from Goteborgs Universitet in Sweden. The New York Botanical Garden awarded him a Distinguished Service Award in 1986 and the Henry Shaw Medal was awarded to him in 1988. He was elected a member of the Corporation of The New York Botanical Garden in 1981. The collection covers Dr. Prance's 25-year career at The New York Botanical Garden, from 1963 to the time of his departure in 1988. The collection consists entirely of correspondence and field notebooks. 15 lin. in. Arranged alphabetically. These files cover the period when Dr. Prance was the President of ATB and helped coordinate their 5th International Conference. Included are copies of the papers delivered. The conference proceedings were eventually published by Columbia University Press and the related reviews, abstracts, and correspondence are included here. 10.5 lin. in. Arranged alphabetically. Dr. Prance was actively involved in bringing computers to the Garden. He was a member of a committee to research the feasibility of their installation and use, and his report dated 1972 is included herein. Several institutional models were researched by the committee such as CUNY, University of Notre Dame, Smithsonian, Gulf University Research Consortium, and the Colombian National Herbarium. Eventually, IBM products were recommended and adopted. There was also a major conference at Kew which addressed the topic. 4.5 lin. in. Arranged alphabetically. The Flora of North America was one of the projects under the aegis of this unit. This correspondence reflects the complex relationship between the two bodies, name changes, and financial and administrative records. A rare plants conservation symposium was also held by The New York Botanical Garden through this unit. The unit was funded by the National Parks Service and final reports to the NPS are included in this correspondence. Flora of North America is a project which began in 1967 with the formation of an editorial committee. It is a planned 12- volume publication whose compilation is ongoing and began in 1993 with the release of the first three volumes. Its goal is to create a flora of the vascular plants of North America north of Mexico. Dr. Prance coordinated the Garden's role in the compilation of this project. Dr. Prance served as a member of the organizational committee and was U.S. Coordinator for the Projeto Flora program, a binational plant collecting program active from 1976 to 1987 which was funded and administered by the National Science Foundation and the Brazilian National Research Council (CNPq). These files are divided between personal correspondence and subject-oriented correspondence. Correspondence includes field reports, application papers, and reports to the NSF on the four phases of the project. Extensive correspondence exists between Dr. Prance and Bruce Nelson, the Resident Project Manager from June 1979 to the end of the project in 1987. 16 lin. in. Arranged alphabetically. These files consist of correspondence between Dr. Prance and various persons related to the Projeto Flora project both in the U.S. and in Brazil. 1.5 lin. in. Arranged alphabetically. This series concerns the Cary Arboretum which was a part of the Garden at the time. These files were found labeled under the heading "Cary Arboretum" and were kept in this order. 1 lin. in. Arranged alphabetically. This series concerns the Garden's relationship with Lehman College, a branch of the City University of New York located in the Bronx. Lehman College operates a graduate program in botany in conjunction with the Garden. Dr. Prance served as graduate advisor to twenty students during his tenure, two of whom are now members of the Garden's scientific staff. At one time, The New York Botanical Garden considered operating its own graduate school and this file can be found within Series 11 under the heading NYBG University Proposal. 10 lin. in. Arranged alphabetically. These records are associated with Dr. Prance in his capacity as Director of Botanical Research from 1975 to 1981 and as the B. 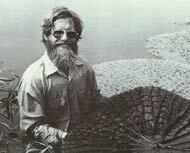 A. Krukoff Curator of Amazonian Botany from 1968 to 1975. Included in these files is correspondence with numerous individuals concerning botanical specimen identification, loans, and collecting requests. Dr. Prance was also involved in arrangements for the second International Mycological Congess. 2.5 lin. in. Arranged alphabetically. These files reflect articles published in Evolutionary Biology journal, of which Prance has served as Botanical Editor since 1980..
6.25 lin. ft. Arranged alphabetically. These files are a compilation from various sources and reflect the offices held by Dr. Prance at The New York Botanical Garden. It was difficult to discern which files belonged to which office, as he held positions simultaneously. From 1977 to 1981 he was Director of Botanical Research and Vice President of the Garden. Also, from 1981 to 1988 he served as Senior Vice President for Science and Director of the Institute of Economic Botany. These files are strictly subject-oriented. Following this series are the personal correspondence files in a separate series. Subjects covered extensively include grant and film proposals, determination lists, Classification Society of North America, CODEL (a consortium of Christian organizations concerned with Third World development issues), Instituto Nacional de Pesquisas da Amazonia, Rio Pacaja Timber Survey, the Rockefeller Foundation, the World Bank, and the World Wildlife Foundation. This series consists of the personal correspondence of Dr. Prance. Much of this deals with his professional duties. Extensive correspondents include Anthony Anderson, Thomas Elias, Enrique Forero,David Giannasi, Otto Huber, Anette Hervey, David F. Karnosky, Walter Kerr, Tetsuo Koyama, B. A. Krukoff, Thomas Lovejoy, Cecile Lumer, K. H. Palta, T. D. Pennington, John J. Pipoly, Peter Raven, Edmund de Rothschild, Frederick Seaman, Marlene Silva, Hermann Otto Sleumer, Jeremy Strudwick, and Alcides Ribeiro Teixeira. This series is kept seperately with the New York Botanical Garden Field Collectors' Notebooks collection. The notebooks are arranged numerically as part of the collection's numbering sequence. They constitute numbers 397 through 425. These 29 volumes cover the following countries: Venezuela, Brazil, Colombia, French Guiana, Chile, Falkland Islands, Antarctica, China, Italy, Puerto Rico, Virgin Islands, Peru, and Mexico. Twenty-four of these notebooks are concerned solely with Brazil. Processed August 2000 by Stephen Sinon under a grant from the National Endowment for the Humanities (NEH) PA-23141-98 and a grant from the Harriet Ford Dickenson Foundation.